The redesigned iPod touch has a brushed aluminum back, along with the new 9-pin Lightning connector. It also runs the A5 processor, giving it dual-core chip power. The iPod touch can be purchased in five colors: raw aluminum, black, blue, yellow and red. The iPod touch loop wrist straps are also available in matching colors. 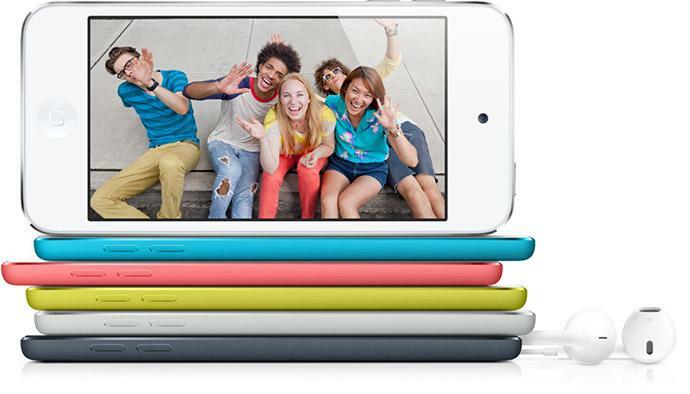 The new fifth-generation, 6.1 mm iPod touch is $299 for a 32-gigabyte model, while the high-end 64-gigabyte model is $399. The fourth-generation iPod touch will remain available for $199 for the 16-gigabyte model, while a 32-gigabyte model will be $249. Apple said the new iPod nano has up to 7 times faster graphics than the previous iPod touch. It will also allow Siri voice control functionality. The camera has been updated to a 5-megapixel iSight that is backside illuminated. Apple has promised the iPod touch offers up to 40 hours of music playback, or 8 hours of video, an improvement over the previous model. The rear camera can shoot 1080p video with image stabilization, and the device supports iPhoto and iMovie for iOS. The forward-facing FaceTime camera also has 720p video functionality. Also added to the new iPod touch is panoramic photos in the camera application. That feature will also be available in the iPhone 5. 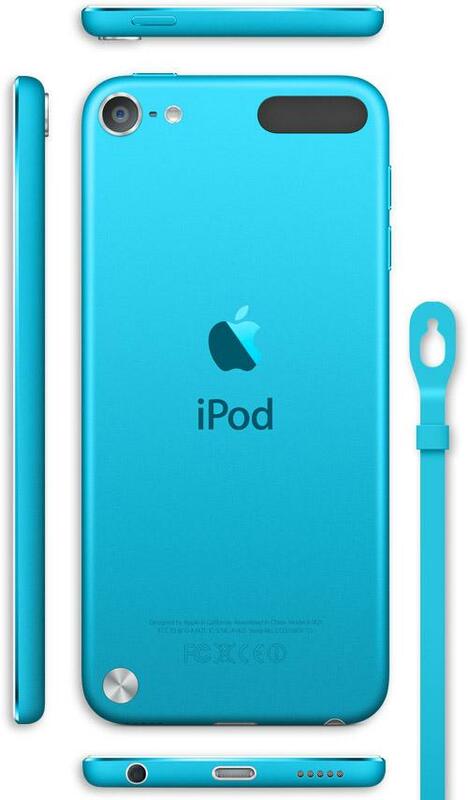 The iPod touch loop attaches to the back of the new iPod touch and allows users to secure the device with a wrist strap, with or without a cover.